For many North Phoenix residents, vehicle crashes mean long delays on I-17. But for 1,000 people last year, crashes on Arizona roadways meant death. The Arizona Department of Transportation last week released the death toll for 2017. The count was up from 950 in 2016, 881 in 2015, and 768 in 2014. So far this year, there have been 562 deaths. 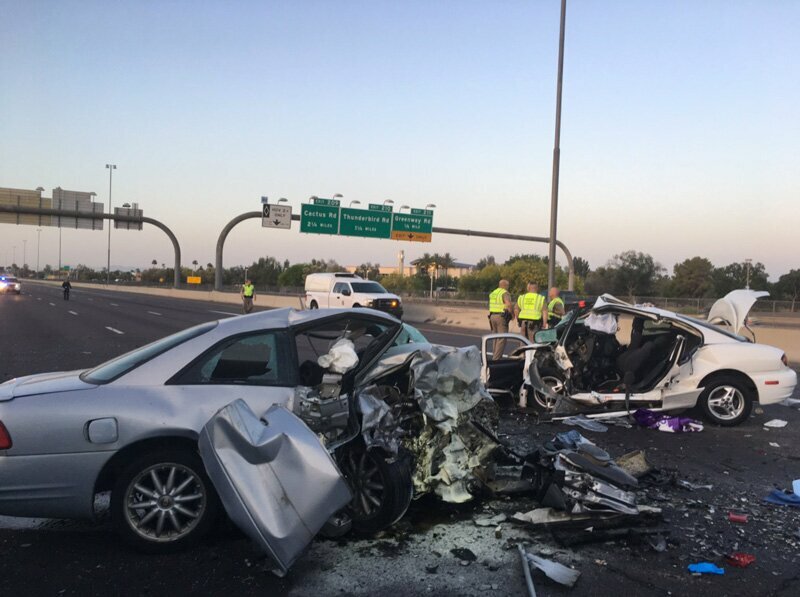 Impairment, speeding and reckless driving, and failure to wear a seat belt are leading factors in traffic fatalities, ADOT said in a statement. Alcohol, prescription medication or illegal drugs played a role in 43 percent of traffic deaths in Arizona last year. While I-17 crashes get a lot of attention, 69 percent of crashes occur on roads other than state highways. The number of people injured in crashes in 2017 (55,474) decreased from 2016, and the total number of crashes, statistically, stayed flat. 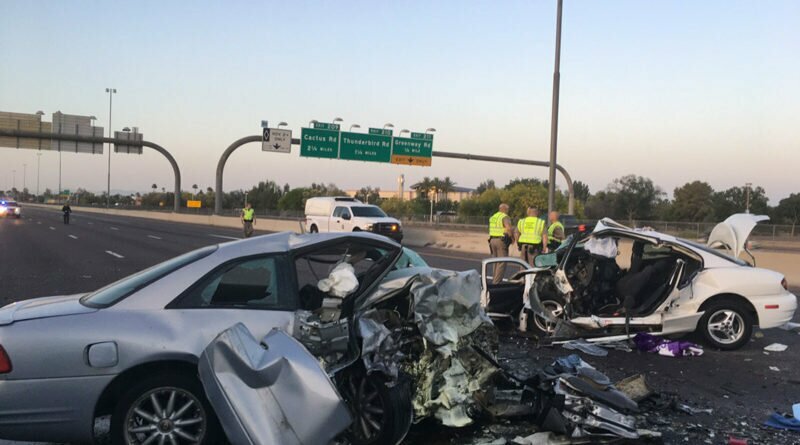 In Arizona there were 127,064 crashes in 2017 and 127,039 in 2016. Speeding and reckless driving was the most common driver violation in all collisions, and 285 people were killed in speed-related crashes. Pedestrians account for nearly a quarter of the 1,000 killed in vehicle crashes. Pedestrian-related fatalities have climbed from 155 in 2014 to 226 in 2017. Most pedestrian fatalities occur in urban areas on city streets and county roads. “Pedestrians should cross streets only at marked crosswalks where drivers expect to see them,” ADOT said. The number of people killed not wearing seat belts fell for the third year in a row—from 258 in 2015, 250 in 2016 and 230 in 2017—but unbuckled occupants still account for nearly a quarter of all traffic fatalities. Officially, there were 9,693 drivers involved in “distracted driving behavior” that were involved in collisions, including 33 fatal crashes. “However, it is widely accepted that [the] number of crashes caused by distracted drivers is much higher than reported because distracted drivers that cause crashes typically don’t admit to the act or died in the crash,” ADOT said.